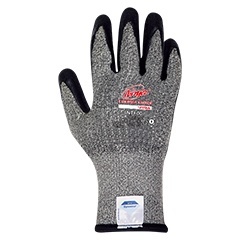 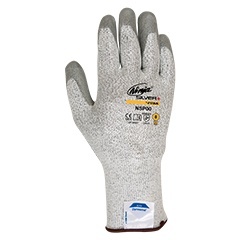 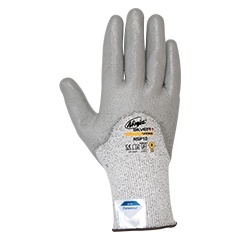 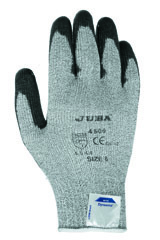 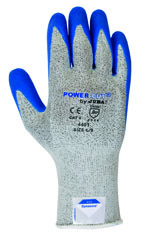 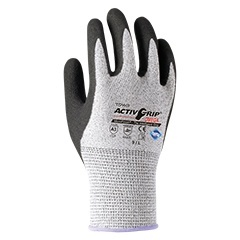 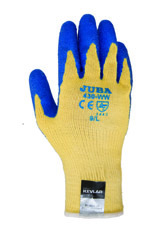 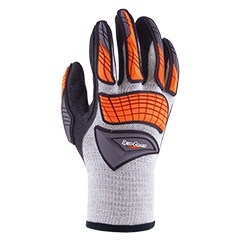 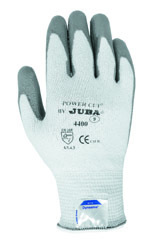 Protective gloves for glasswork or glass fitting, with medium to high cut risk protection. 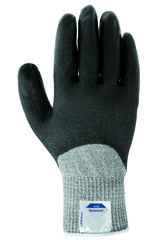 Rough latex palm coatings for a better grip in dry, wet or oily conditions. 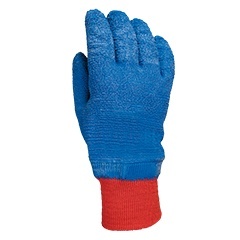 New versions of gloves with ANR latex coating with amazing grip. 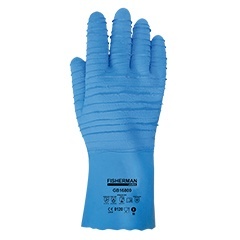 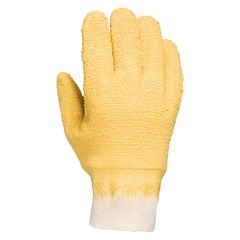 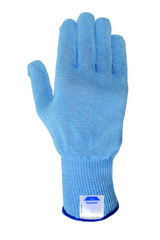 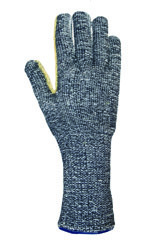 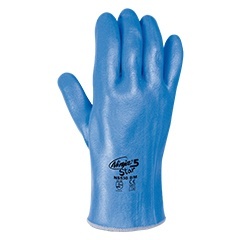 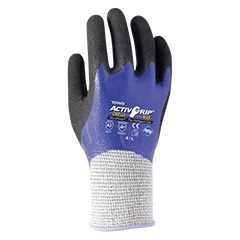 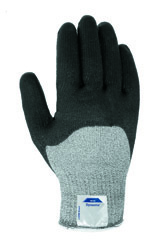 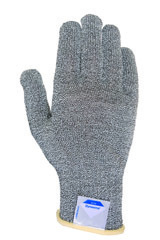 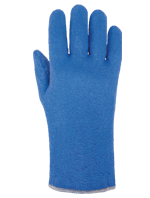 Nylon® glove with double nitrile coating. 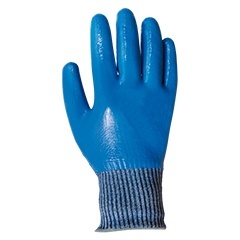 First coating in flat blue nitrile and a second coating on palm and fingers with rough black nitrile with Waves® finish. 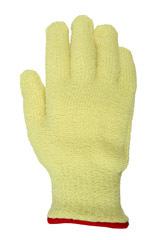 Kevlar® seamless knit with cotton liner. 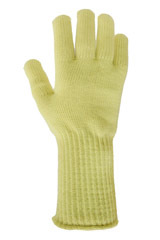 Kevlar® seamless knit with cotton liner. 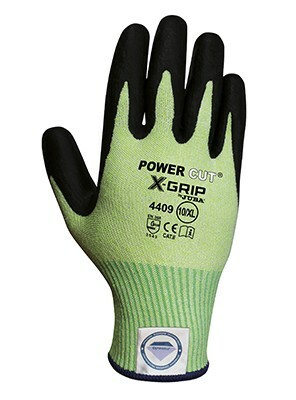 Extra thick style. 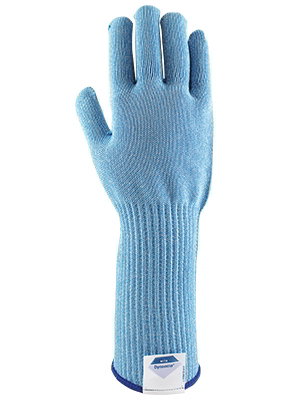 Double terry loop seamless glove. 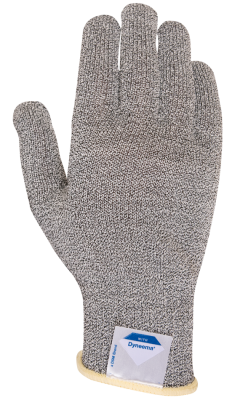 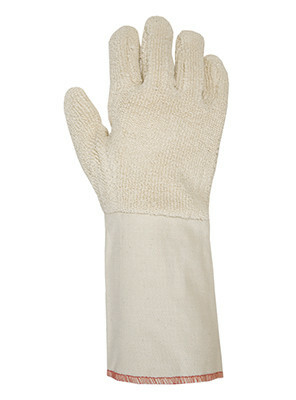 100% terry loop cotton glove with canvas cuff. 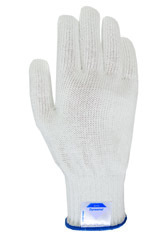 Full crinkle latex coated gauntlet, lined with cotton. 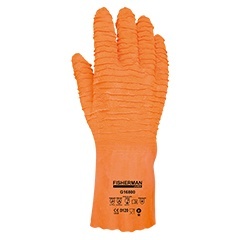 Orange color.